What is hand analysis and why you should be practicing it? Poker Hand Analysis – What Is It Good For? Hand analysis is the process of reviewing a hand history, going through all decision points in the hand and looking for any spots where you might have made a sub-optimal decision. Hand analysis is perhaps the most important technique for any serious poker player for working on his game, finding his leaks, plugging them, and by doing so gradually improving his game and becoming a stronger player. 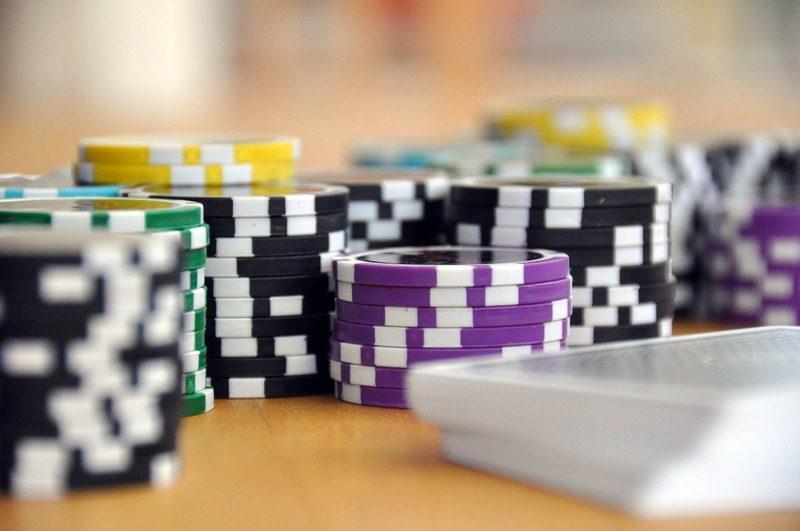 Grinding at the tables isn’t enough to become better, and neither is learning poker theory. Hand analysis is the missing link between theory and practice. It might be hard work and take discipline but it is necessary in order to implement the theory into your actual game. It doesn’t matter how much good poker theory you know, but rather how much of it you can implement correctly in as many spots as possible. The best way to incorporate hand analysis into your poker journey is to allocate regular times for doing hand review sessions. For example, many players take 15-20 minutes after playing a session to review the session. I personally prefer to take the same time at the beginning of the session and review hands from my last session. Analyzing hands before the session is good for warming-up and integrating out-of-table thinking into in-table thinking. It is also a good idea to dedicate an entire session once a week for this kind of work on your game. During online play you should be using a tracking software such as PokerTracker or HoldemManager. In any tracking software there is a function that lets you mark hands during play for later review. For example with PT4 on the HUD just hit the tag button at the upper left beside the PT4 chip logo, then select a recent hand and choose “review” from the dropdown menu. Now that you have marked your hands during play you can go look at all of your hands for the session in PT4 and click the box “Show Marked Hands Only” to filter only the hands that you want to review. I can see that I’m going too much to showdown (WTSD which means “Went to Showdown” is 27, while it is supposed to be around 25), which is probably a leak meaning that I don’t fold enough postflop. I can also click the HUD overlay to view the popups and find more stats there. A second way for finding leaks in your stats is to create a Player Report and adding any stats you like to it. Yet, another way to find leaks in stats is to use the Leak-Tracker feature (Leak-Buster in HM). After finding some leaky stats , we will want to create a Hand Report and filter for corresponding spots. So for example, if my “Went to Showdown” is too high I will filter for spots where I faced post-flop aggression on the later streets and called. To do this in PT4 for a river call I will click: Filters > Add New Simple Filters > Actions and Opportunities > River > River Calls > Any Call. After all these setup steps you are ready to start your hand review session. Using your tracking software you can browse through the tagged/filtered hands, choose a hand and open the hand details window which shows the entire hand history text in a nice format. You can copy the tracker’s text format of the hand history to the clipboard using the “Copy to Clipboard” button, which is useful for importing the hand for further analysis in your favorite hand analysis software. The main diagonal represents pocket pairs, above it are the suited hands and below it are the offsuit hands. We always want to assign a range to villain, we can’t know his specific hand but we can know what hands he can usually have and which hands he can usually not have. The ranging process proceeds through range narrowing: When we know what was a player’s range in one point in the hand it makes sense this range can only narrow as we proceed through the actions in the hand. For example, if we think this tight-passive player would not 3bet JTs or 99 then we can’t look at a flop of 987r and think that he might have flopped a nutted hand. Am I at the top or bottom of my range with this action? Do I need to call with this hand or did I have many better hands in my range for that? Do I have enough value/bluff hands in my check-raising range here? Am I balanced or imbalanced? Now, of course when playing against bad players, balance isn’t important but it is important if we don’t know much about a player or if we know that he is competent. Even when we do play an exploitative strategy we want to understand what the balanced play would be so we know how far we deviated from it. It is very important for any player to know what a solid preflop strategy looks like: what hands to open from which positions; which hands to defend from which position vs. which position; when to flat and when to 3bet; when to defend vs a 3bet; what sizing is optimal for each action; etc. For example, you can find good recommendations for opening and defending ranges in The Grinder’s Manual by Carroters (see chapter 2 on opening and chapter 6 on defending vs opens). Of course, you should also adjust ranges, for example wider for a loose player and narrower for a tight player, but the basic idea is that once you got this part down, preflop ranging should be automatic, so this is the easiest part of the hand analysis. Range: Assign a range to your opponent based on their play and the board texture. Equity: Work out how much equity you have against your opponent’s range. Maximize: Make the most +EV play based on the information you have gathered. Don’t be results oriented! Poker is a super-long-term strategy game with a ton of short-term variance always messing up your short-term results. You need to look at your decisions and analyze how much money you would have theoretically won over the long run, regardless of the outcome for one particular hand. If you identify leaks in your opponent’s strategy, you should ask are there any relevant strategical adjustments you should make to exploit those leaks, and is the way you played the hand consistent with these adjustments, or did you ignore any valuable information. There are two approaches to thinking about a hand, depending on whether you are playing against a good player or a bad player. When playing against a bad player you should keep things simple and just consider how you played your hand “in a vacuum“, meaning in the most profitable way for one particular hand in isolation from the rest of your range. We might end up bluffing too often or not often enough, or folding too much or too little in some spot, but that doesn’t matter since an incompetent player is not expected to take note of our imbalance and exploit it. On the other hand when playing vs a competent player we will need to analyze our play as part of a balanced strategy, considering our entire range in each spot and so we will need to sometimes bluff, avoid bluffing, fold or avoid folding, all in pretty marginal spots just so we don’t end up with an imbalanced range in some common spots. In the next article I will expand on these two approaches. I hope this article gave you a better idea of what hand analysis is, how to approach it, and why it is an important part of any serious player’s routine. This is a big topic and in the following articles I intend to continue exploring it. The best way to get good at this is to simply start marking hands for review, allocate times to do a review session and start analyzing those hands. If you enjoyed this article then please do me a quick favor and “Like” or “Tweet” it below! Any chance you will expand this? You’ve come up with a very eloquent post otherwise, so thanks!